As the biggest and best-known of the online auction sites, eBay is rife with counterfeits in all manner of things, but especially clothing and electronics. Designer labels and brand names are regularly faked, and replicas abound. If you bid or do any online shopping on eBay (many items simply have a Buy It Now price), you need to keep your wits about you in order to avoid the knock offs. It’s easy to be fooled, since many of the counterfeiters are very good these days. Often they’ll put up pictures of the real thing, and it won’t be until you’ve won your eBay auction, paid your money and received the item that you discover it’s a fake. By then it can be too late, even if you complain to eBay. They can take action, but the odds are against you getting your money back. However, there are some ways you can be smart about the whole business. You’ll avoid most of the fakes, and even if you do become a victim, you might be able to get at least some of your money back. Always read the listings very, very carefully. They can be cleverly worded to make you think you’re buying the real thing, but without ever giving the brand name. That way, if you complain about your item of clothing after the auction, they can claim they never said it was by a certain designer. If the price is Buy It Now and seems ridiculously low, there’s probably a reason. Real designer items or real name-brand electronics don’t sell for very low prices – there’s no need, since there’s ample demand and they can easily go for more. It’s a matter of using your common sense when browsing auctions, and taking your time. Feedback can be a powerful tool on eBay, the way to rate transactions and discover if the seller is someone you want to do business with. Always look at the feedback before bidding and if there are any complaints about fake items in there, steer clear. But even if the feedback is all good, that doesn’t necessarily mean the seller is clean. Some arrange to “stuff” their feedback with good reports – it’s best to keep a cynical mind. What Auction Items Are Most Faked? The answer could easily be everything, but you do find some things in abundance. Designer clothing, for both men and women, is a prime target, along with brand-name sneakers and shoes. The other major area to watch out for is electronics, especially small devices like iPods and other MP3 players. You need to be aware of the differences between the fake and real items. Often they’re superficially the same, but on closer examination the differences are obvious. A lot of perfectly legitimate items on eBay come from Asia, but an awful lot of the counterfeit merchandise does, too. Be very wary of any listing for often-faked items that list an Asian address, especially in China. Ultimately, eBay wants people who buy and sell there to be satisfied – that way people keep using the service. 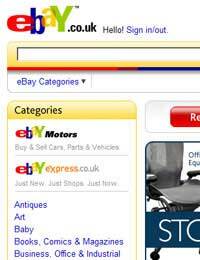 If you have a problem and the seller won’t address it, you can file a grievance with eBay. Another, and a very important, way to safeguard yourself is paying by credit card or using PayPal. If the item proves to be a fake, you will be able to claim back at least some, if not all, of the money you’ve spent. @Andy - best thing is to report the seller to Ebay. I bought a duff memory card from Amazon, took a load of great images and the card corrupted. It's always best to buy known brands and steer clear of Chinese goods, some are good, some are poor, so best avoid to be on the safe side. I also came across the same situation, I recently purchased A SAMSUNG SD 64GB MEMORY CARD from EBay seller “zhohaiz”, this seller was from China. When I received the product that I found out it’s counterfeit. As I knew the original products should be made in Korea not from China or Taiwan and also the quality of those fake products were very poor as the one I received from the EBay seller! I was reporting this case to EBay Canada. But the customer service / escalation department didn’t really care and take actions on this issue. Honestly, that makes me feel shopping from EBay is very unreliable coz too much SCAMS on EBay even the poor customer service support.